Hey Guys, in this article you will get the latest and simple methods of how to activate Airtel double data offer, how to qualify for Airtel double data offer, and how to use Airtel double data for 6 months. Previously I wrote about how to activate MTN double data offer. So today, I am sharing a very simple and easy method of how to activate Airtel Double Data by implementing an easy to remember mobile USSD code (*144#) on your Airtel SIM card. Airtel double data offer is the latest and official free data bonus giving to you when you subscribed to any of the Airtel Daily, Weekly, or monthly data plans. As we all know, cracking FBT these days are vary though, to me, this is one of the best alternative to all latest Airtel free browsing cheat 2018 because it's an official one. Also Read Cheapest Glo Data Plans for Android and All Devices. This wonderful free data offer is no longer new to other network subscribers, but I must confess that the data cap of Airtel Nigeria Double Data offer is incomparable. Now that MTN and other telecoms free browsing got Blocked, I think it's a very easy and good way to get free data from Airtel. Why is Airtel giving 100% data bonus upon each data purchased? I think it may be another way of compensating their subscribers after Airtel is said to have reduced data volume. Hence, they decided to double any amount of data you purchase. Most importantly! What is the validity of this great data bonus offer from Airtel? Haha! Do you think I was joking when I said the Airtel Double Data Offer is incomparable? Check out the Benefits of 5G. Unlike other Networks, the additional free data bonus offer is valid for every day for 6 months while your main subscription ends in 30days but the double data offer will be intact till 6months starting from the day of activation. 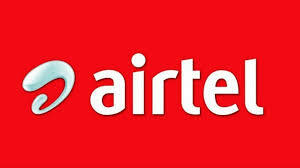 NOTE: This offer "airtel double data bonus offer" is available only to those who are eligible. However, I believe 95% of Airtel subscribers' will enjoy this as it may be. To clear your doubts here is an easy method to check Airtel double data eligibility status. To check if you are qualified, simply dial *144# you will be given options to choose which data plan you may like to activate and double data bonus for 6 months ranging from 400MB for NGN 200, 1.5gb for NGN 1000, 3gb for NGN 3000, 7GB for NGN 2000, and 10GB for NGN 2500 respectively. If you see “enjoy double data offer for 6 months congrats! You set to enjoy the Airtel amazing free data bonus on your Airtel SIM card. Select the #1 option, I mean in the input box, enter 1 then press send. Finally, you have successfully activated Airtel double data offer to enjoy unlimited internet whenever and wherever for good 6 months. For those that are eligible for the Airtel Double Data Offer, simply dial *144# and select any data plan of your choice and a 100% data bonus will be added to your data account. Make sure you have airtime equal to the amount of data you want to subscribe on your line else you may end up getting unsuccessful error messages. There you have it, this is one of the latest Airtel cheap data plans in 2818. Keep doubling you're Airtel data and stay connected always. Any suggestions or inquiry? Drop your comment.